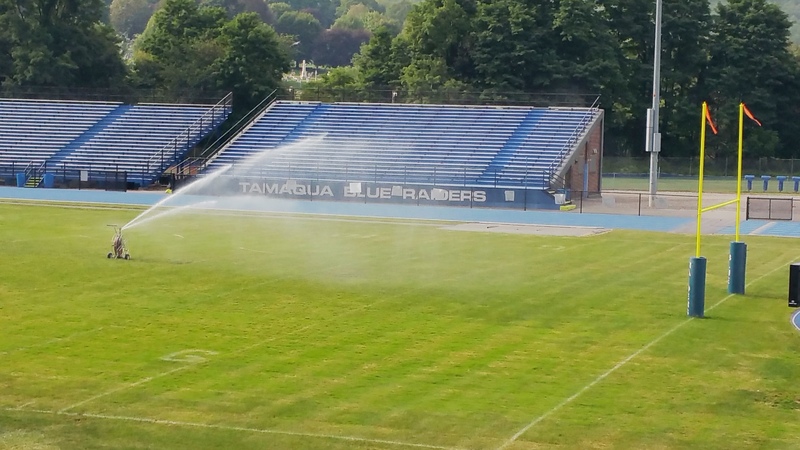 Pictured are sprinklers watering the field at the Tamaqua Area School District Sports Stadium. Unlike California and other parts of the country, our area is not suffering from various levels of drought. Below are team rosters and schedules, courtesy Mike Hromyak, Athletics Director/Public Relations, Tamaqua Area School District. – Girls Tennis: Roster / Schedule. – Golf Roster: Roster / Schedule. – Junior High Cross Country: Roster / Schedule. 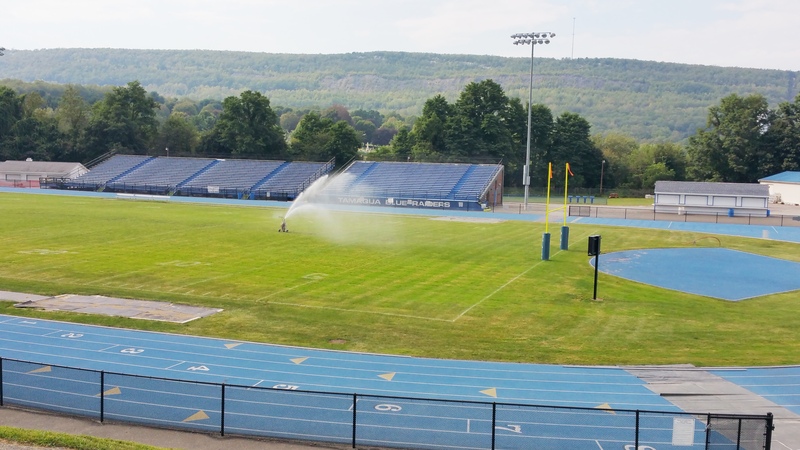 – Junior High Football: Roster / Schedule. – Junior High Girls Basketball: Roster / Schedule. 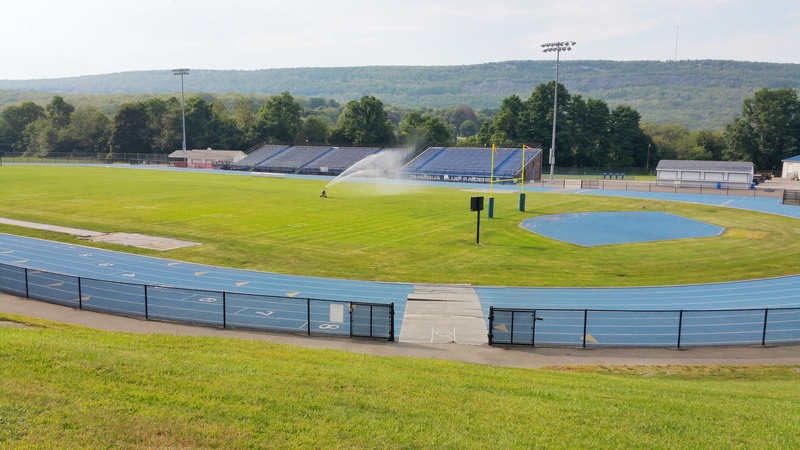 – Junior Varsity Football: Roster / Schedule. 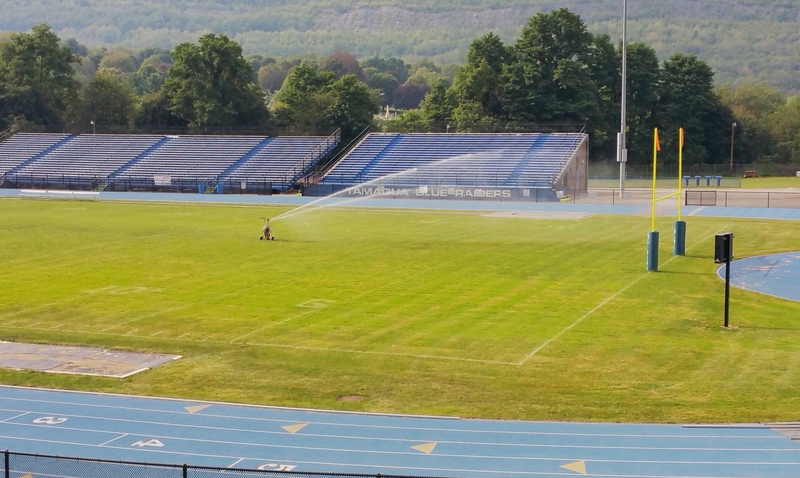 – JV/Varsity Boys Soccer: Roster / Schedule. – JV/Varsity Girls Soccer: Roster / Schedule. – JV/Varsity Volleyball: Roster / Schedule. 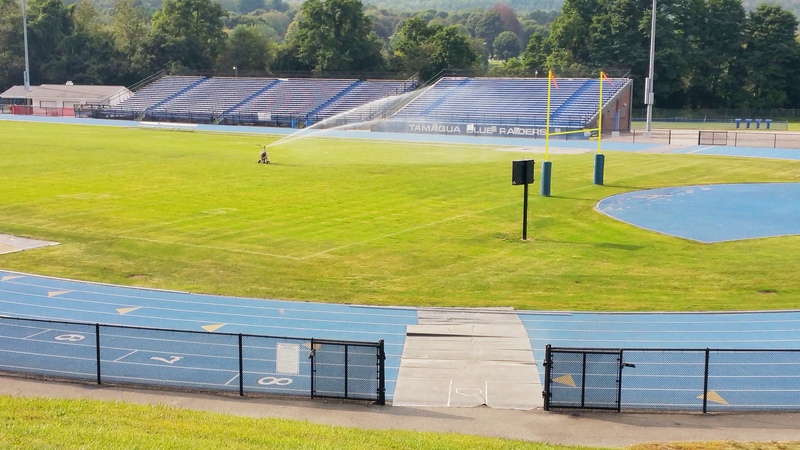 – Varsity Football: Roster / Schedule. Or visit the district’s website: Fall Rosters, Fall Schedules/Results, Fall Gym/Practice Schedules. 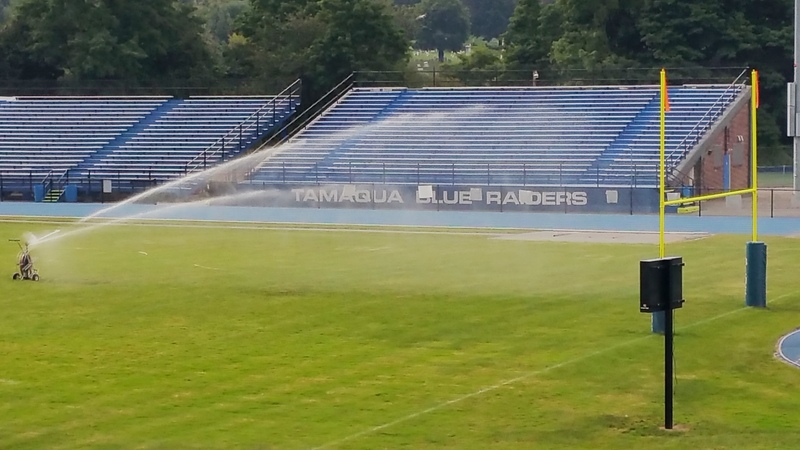 Click HERE to view Tamaqua fall sports’ season ticket information.